There are probably not many people who haven’t at least once in their lives “caught” an acute viral nasopharyngitis, also known as acute coryza, usually referred to as the common cold. It’s probably safe to say that this is the most common disease. The cold, nasal congestion, sore throat, cough and accompanying problems such as headaches and discomfort are symptoms of this acute respiratory disease. While it’s possible to treat this disease, the best is to avoid getting it in first place, in particular for children, who have the hardest time coping with it. 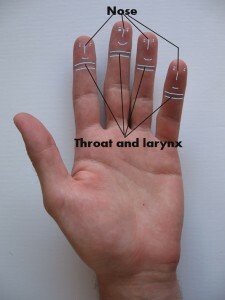 Su Jok therapy has some simple techniques one can use to prevent and to get rid of this disease. First you need to find necessary points for our treatment. These points are on our hands and they correspond to nose, throat and larynx. See figures 1 and 2. 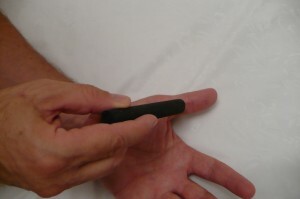 Massage these areas using a little stick with a not too sharp edge (a toothpick with a broken sharp edge, ball pen without ink and will do). 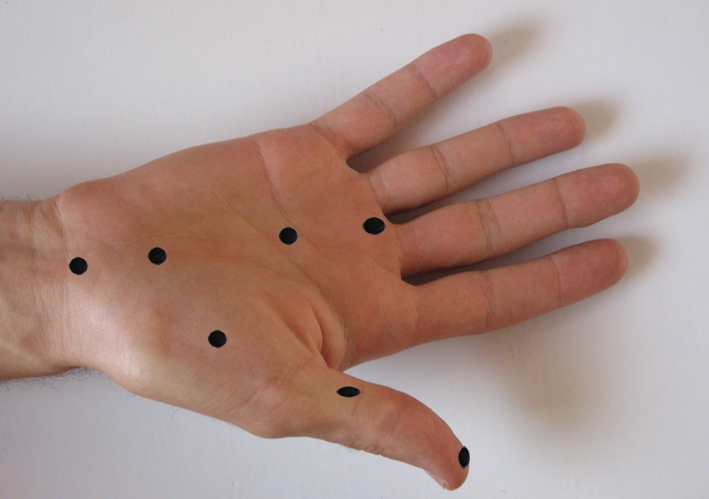 Find most painful points of these areas and press these points with a moderate effort and begin a slow rotation of the stick in two directions ( figure 3 ). Do this procedure 2-3 times a day if you “caught” the common cold and once a day in order to prevent the disease. 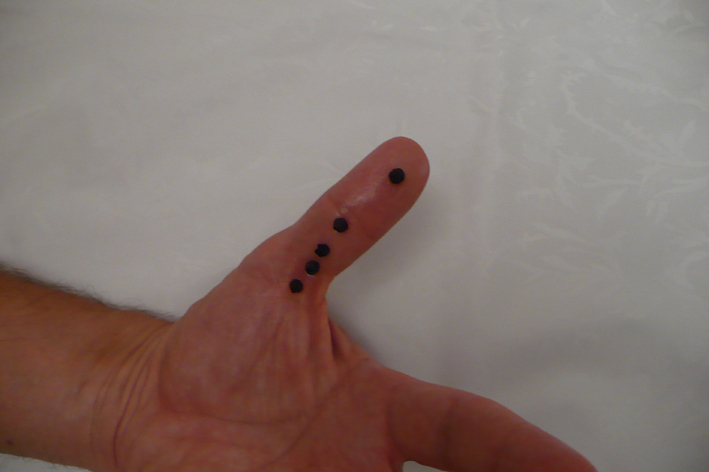 and also additional points using Moxa as seen on figure 5. 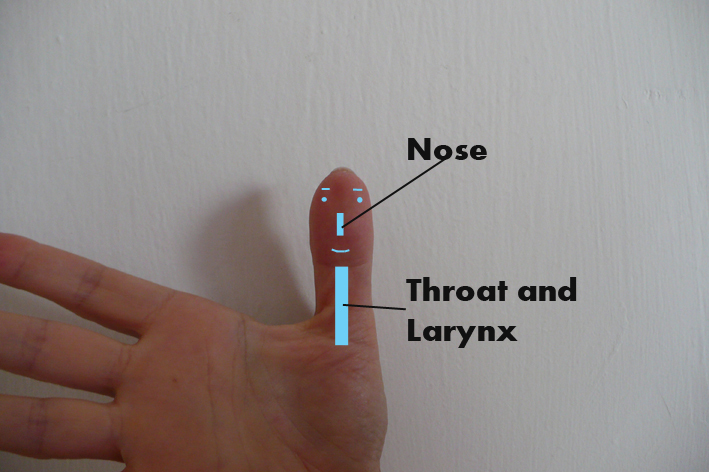 Apply grains of black pepper to areas corresponding to the nose, throat and larynx according to figure 6. Use a band-aid or some other alternative to keep the grains of pepper in place. Change these grains once a day as long as the cold doesn’t go away.